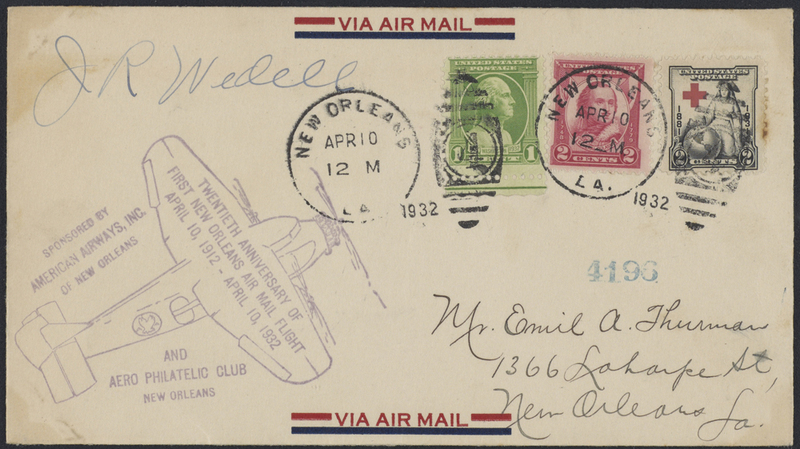 Honoring the twentieth anniversary of the first New Orleans air mail flight, April 10, 1912 – April 10, 1932. 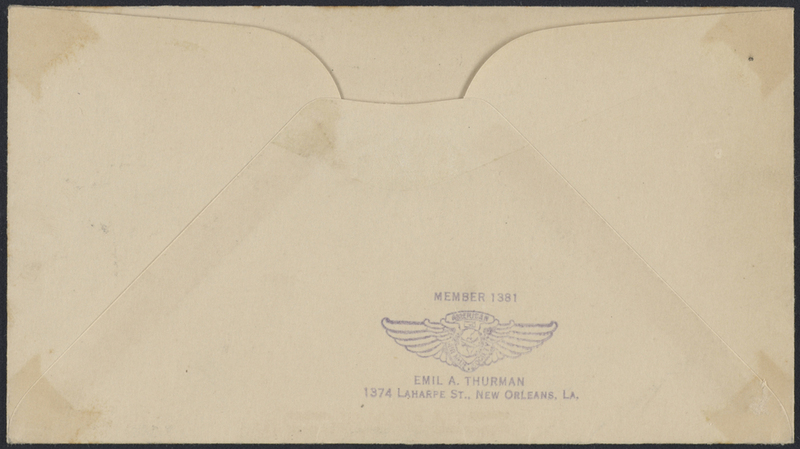 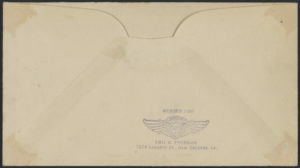 Sponsored by American Airways, Inc. of New Orleans and the Aero Philatelic Club of New Orleans. 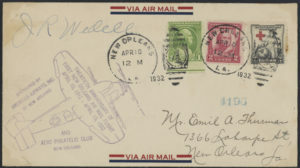 Autographed by airplane racer and air pioneer J. R. “Jimmie” Wedell.